offer a wide range of educational outdoor pursuits, adventure activities and Paintball for schools trips and college group educational trips. We employ highly qualified and motivated national governing body coaches and instructors. 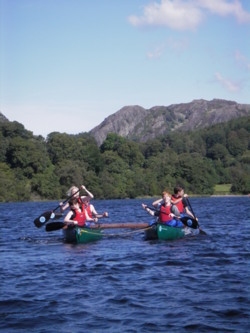 have organised school trips including outdoor adventure pursuits in the northwest of England including the Lake District, all staff working with young peoples groups are experienced in their fields and are hand picked for their expertise and outgoing personalities. for schools activity programs and trips agree that it was value for money. 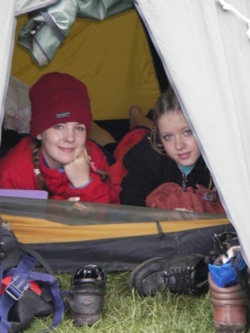 To be able to show you our commitment to offering your school, college or university, safe, fun and educational Adventure activities and outdoor pursuits trips, we have added a heath and safety information section to our web site. This section along with our activities section will give you all the information required to compare the services we offer to the services of other providers. If travel expenses are a problem we can come to your venue or school. Activities on offer include archery, team building challenge tasks, bush craft and rifle shooting. All our ON SITE activities trips are risk assessed in advance of the activity date and a copy sent to your school for records. Could not have asked for a better day for a fun packed school trip. 26 students travelled from Bury and as soon as we arrived in Coniston it was none stop fun. Dave, Ketty, Zoe and Paul were great with motivating the students and making them laugh. For a school trip the safety of the students is top priority and it is clear that Adventure 21 have the same. Medical forms were checked and all medication was looked after by instructors, who also had first aid kits on hand. The students loved the activities, quoting one who said it was 'wicked'. 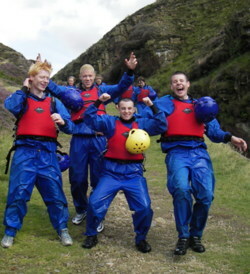 They completed gorge scrambling and canoeing. The gorge scrambling was the favourite of the day; jumping from waterfalls into plunge pools, walking through white water and taking many group photos and selfies. The canoeing was also enjoyed. Team games and making pyramids out of canoes were a highlight. The view on Coniston Water is also breath taking. All of the equipment was included and what could have been hectic with 26 teenagers getting changed, was made to be nice and simple. A good collaboration between Adventure 21 and my school. As a school we are looking forward to visiting again next year and would 100% recommend it for other schools, organised groups or even families. I know some of my students want to visit again with their families.